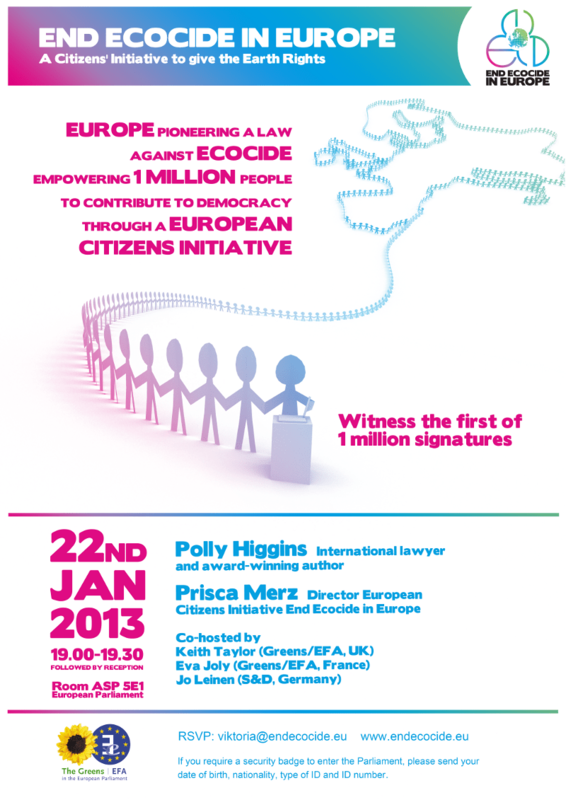 There are still some last places available for the official launch of our ECI in the European Parliament! January 22nd, 7pm. If interested, please provide your Name, Date of Birth, Nationality, type of ID and ID number to viktoria@endecocide.eu. Join us for this special moment when the first person will sign.